The CleanTech Group recently announced their projections on the carbon footprint of electronic books vs. regular “treeware” paperbacks. Coming as no surprise, the eBook readers win out here (danke to MobileRead for the heads up). But that’s not the purpose of this post. They also announced a slew of statistics that I found interesting—namely how many units have been sold in the U.S. and the projected sales in the next years. In short, they expect a lot of people out there to join the ebook revolution. A lot. If these projections turn out to be only half right, this could dramatically boost niche genres like science fiction romance. 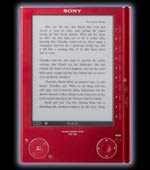 e-readers are still a niche technology, with a little more than 1 million units sold to date. Slightly over one million…? Not bad for this nascent tech, especially when you factor in the extended economic gloom we’ve experienced. So what about the Kindle…? In the United States, Amazon currently holds a 45 percent market share of e-reader devices, with one main competitor Sony trailing at 30 percent. Continuing in the CleanTech report, they also postulate that combined eBook hardware sales could reach up “to 14.4 million in 2012” [emphasis mine]. 14.4 million eBook readers sold! Hmm, now achieving that number in a little over three years does sound a little optimistic to me. But even if that figure only conservatively climbs to ~65% of that by 2012, we can still expect to see slew of new eBook devices out in the hands of readers. And new hardware demands new software—or in this case, new ebooks. You see where I’m going with this. Just how the VHS explosion in the mid-80s drove every wacky movie ever made to store shelves—just because new VCR owners needed food for their machines—this technology could provide just the tipping point SFR needs. What are your thoughts on this? 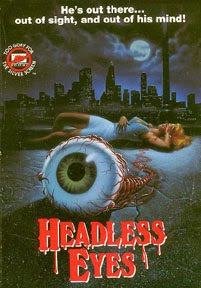 If HEADLESS EYES (yes, this is a real movie) can see a release through the late, lamented Wizard Video (with their extra large VHS boxes and gory as hecka-heck cover art), shouldn’t we expect mainstream SFR stories to start popping up more and more? Also, Red Sage is seeking novel-length manuscripts and will consider SFR. Editor Sasha Knight of Samhain recently tweeted that she’s looking for more futuristic romances to build her list. Hmm, I think we’re onto something here! Thoughts…? UPDATE: Sony has just announced three new Readers today. One has 3G wireless capabilities and allows you to check out ebooks through local libraries. At $400, that model is definitely pricey, but a cool concept in motion nonetheless. You can read all about the new editions here.